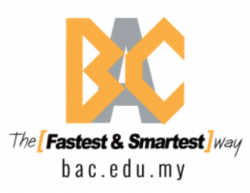 Brickfields Asia College (BAC) is the Fastest and Smartest Way to over 300 pre-university and degree programmes. We have partnerships and affiliations with over 25 leading UK universities and professional organisations. Our long-standing reputation for educational excellence is proven by our excellent results, highly sought after graduates and numerous industry and CSR awards.